It is with deep regret that we inform readers of the death of John "Jack" Carroll, former head of the Social Security Administration's Office of Research and Statistics (ORS). Jack died May 7, 2009, at age 90. His life and work were distinguished by his service and devotion to people. 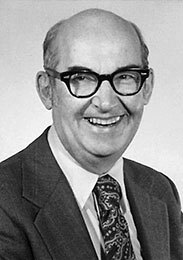 Jack received a bachelor's degree in economics from the University of Michigan in 1941. During World War II, he enlisted and served as a flight navigator. It was through his courage and determination that he evaded capture when his plane was shot down. After the war, Jack resumed his education and completed his Ph. D. in economics at the University of Michigan, writing his dissertation on Social Security financing. For 13 years he worked as a professor at St. Lawrence University, where he headed the economics department and published research papers on Social Security and other government programs. From 1962 through 1966, Jack was an economic advisor to the government of Calcutta, India. Jack began his career with ORS in 1966. Before becoming Assistant Commissioner for Research and Statistics in 1972, he served as Director of the Division of Economic and Long-Range Studies and as Deputy Assistant Commissioner for Research and Statistics. He retired from SSA in 1984. Respected for both his technical and people skills, Jack very successfully managed the ORS research staff of more than 500 persons. In addition to the current functions of the Office of Research, Evaluation, and Statistics, ORS, as it was known then, had the additional function of studying Medicare and other related health programs. Under his leadership, ORS produced a large number of significant studies related not only to the Social Security program but also to the Supplemental Security Income and Medicare programs and to other social welfare programs. Jack led pioneering efforts in data matching and microsimulation. He insisted that the work of ORS be high quality, objective, and relevant to the broad area of social welfare policy. He strove to make ORS work useful to all segments of the social welfare policy community. Jack treated his staff members and others with respect, honesty, and kindness. He was greatly respected and liked by his staff and by members of the social welfare policy community. Jack was very active in his retirement. He attended numerous conferences and meetings that dealt with social welfare policy. He was very active in his church and did a huge amount of volunteer work. He held various church offices and for many years served food to the homeless. He was also treasurer of a nonprofit geriatric day care center.